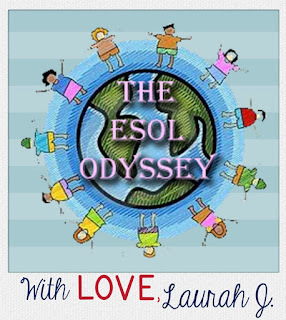 While my first love is ESOL, my second passion is definitely educational technology. I love figuring out technological solutions for all sorts of educational needs- especially those that relate specifically to ELL concerns- like family communication, differentiation, or language growth. As a Google Certified Trainer, I especially love finding solutions that are Google-integrated! 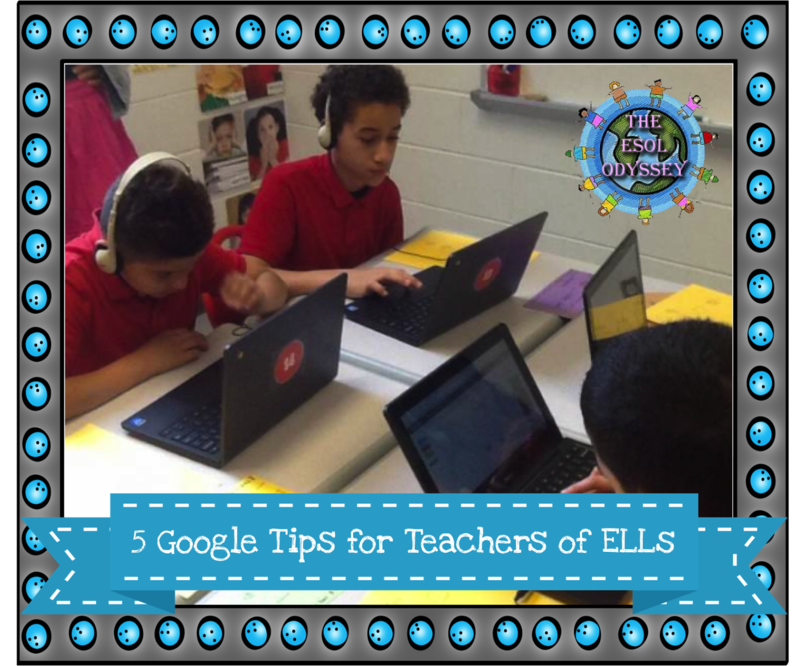 So, I'm going to share with you 5 of my favorite Google tips and tools for teachers of ELLs! One common problem that any teacher who works with ELLs faces is the ability to communicate regularly with families without the aid of a translator. 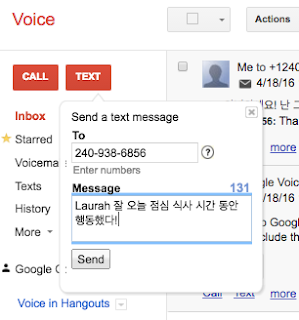 Google Voice makes it easy to "text" families from a Google number (while keeping your personal number private) and you can use Google Translate to translate the messages you send. Create a Google Sheet with common phrases to share with staff at your school! Find out more here! Teachers often struggle with differentiation and meeting students at different levels. The Read&Write extension for Google Chrome makes it easy with a ton of great features such as text-to-speech, speech-to-text, translation and more. Easily meet the needs of a students at a variety of English proficiency levels, and scaffold assignments in the classroom and at home with Read&Write. Find out more here! Google Forms has so many great uses, and if you're not using this tool at all, then you're really missing out. As far as organization goes, it is an invaluable tool! I use Google forms to collect parent contact information at the beginning of the year, keep discipline and parent contact logs throughout the year (easily shared with admin for evidence! ), and for a variety of other classroom purposes. I also use it as a quick assessment tool- it's great for assessing ELLs because you can add pictures and videos to support students at lower levels of language proficiency. Even better, you can save time grading with Flubaroo! 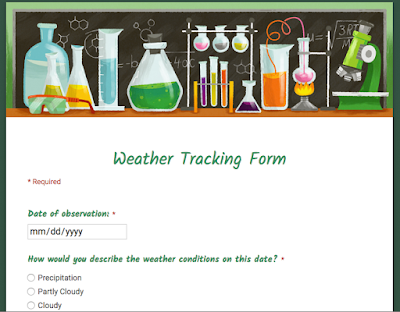 Find out more about how I use Google Forms for organization here or how to use Forms and Flubaroo for assessment here! This is a tool that is traditionally used to create tools to assist students with learning disabilities or autism, however, it can be great for creating tools for ELLs! For newcomers, it can be used as a communication board until they acquire a little more English. 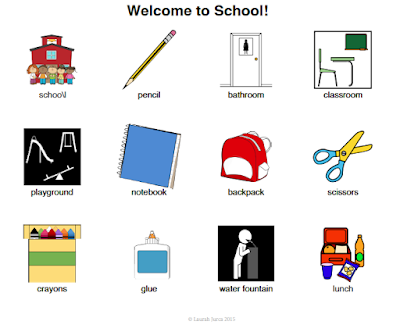 For intermediate and advanced students, it can be used to create visual word walls or sentence frames with visuals. Find out more here! One of the areas that my ELLs struggle most in is writing, and in order to provide more practice with this very important still, we use writing journals. But, lugging home a ton of notebooks every few days can be tiring. That's why I LOVE using Google Docs to create beautifully organized writing journals. It's easy for the students to do their writing and add pictures to the document, and it's easy for me to respond using the comment feature or make suggestions using the "suggest" feature. The journals are easily shared with parents or other stakeholders as well. Best of all- there's no "Miss! I forgot my journal at home today!" Find out more here (and access a free journal template!). Thanks for stopping by! I hope these tips are helpful as you work to support your ELLs! What a helpful post! Thanks for all Of these great ideas!